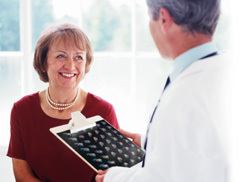 Codonics' introduced the world's first DICOM color imager and has been pioneering multi-media imagers for over a decade. We are the industry leader in color imagers with over 25,000 installations worldwide. Our Horizon Multi-media Imager features stunning edge-to-edge color printing, maximizing imaging size and reducing waste. Codonics exclusive Medical Color Matching (MCM™) is an advanced image processing feature that adjusts printed output colors to accurately match soft-copy monitors. This process corrects differences in hue, saturation, and intensity between the printer and soft-copy review stations. User's can easily determine the best match for their screen using the automatic MCM bracketing feature which is built into every Codonics imager. 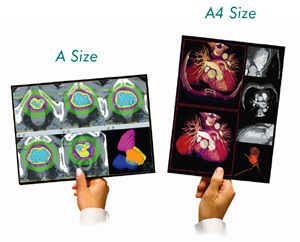 Color prints always match softcopy monitors with our exclusive Medical Color Matching (MCM™) feature. Consistency, clarity and saturation with Codonics color dye-diffusion technology far exceeds that of wax or inkjet printers. ChromaVista Color Paper has a heavy, photo-weight base material that resists water and tearing. Since there is no ink or toner, images never smear or transfer onto hands or other prints. * ChromaVista Color Paper is available for use in most Codonics imagers, some model and size restrictions apply. Specifications are subject to change without notice. Contact your Codonics representative for the latest information.